Copyrights are a form of protection provided to the creators of original works of authorship, such as literary, musical, and other artistic works. We at Jafari Law Group can help to ensure that your creative works are federally protected. Although your work immediately becomes your property once it is materialized into a fixed form, the benefits of obtaining a federally registered copyright are worth the effort. Some of these benefits include: putting the public on notice of your federally registered copyright, the ability to bring a lawsuit in federal court for copyright infringement, and the possibility of obtaining statutory damages and attorney's fees. Call one of our intellectual property attorneys today to take advantage of owning a federally registered trademark. All copyrighted materials must first be registered with the US Copyright Office before they can be guaranteed any sort of legal protection. Registering a work for copyright protection will give you greater control of your ideas, particularly if you wish to sell or license them to others. We will help you with all of the various steps in the registration process from the application to the filing of any subsequent paperwork. We have plenty of experience in registering copyrights and we know the fastest, most effective ways to get your copyright registered with the least amount of hassle. Licensing allows those who are not the copyright owner to use copyrighted material with express permission of the owner for royalty fees. Licensing your copyright is one of the best ways you can make money off of your copyrighted material. JPL can help you negotiate the terms of the licensing agreement, as well as establish reasonable royalty payments for use of the copyrighted material, whether you are the licensor or the party seeking to use licensed material. As a bonus, we are always ready to help our clients license their material immediately after copyright is successfully granted. 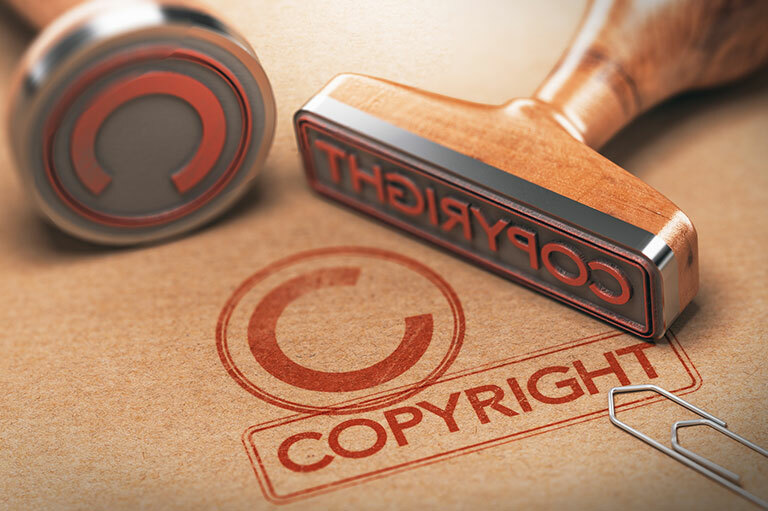 If you feel that your copyright is being infringed, or that you are the wrongful target of a copyright lawsuit, we can serve as your attorneys in the litigation process. Our Orange County copyright attorneys will help to put together an effective strategy to secure the best possible outcome to protect your intellectual property rights. Being able to effectively communicate complex information as simply and directly as possible so that a judge or jury can understand the significant legal issues is an important factor in litigating copyright cases and we pride ourselves on our ability to communicate effectively during any litigation. Although an international copyright does not exist per se, many countries around the world do protect copyrighted material even if it comes from foreign nations. There are also a handful of international agreements about copyright which act as guidelines by which some countries operate their copyright law, but there are not many of these and several are non-binding.There are two principal international copyright conventions, the Berne Convention for the Protection of Literary and Artistic Works (Berne Convention) and the Universal Copyright Convention (UCC). Depending on the laws of the country, we can assist you in securing your rights in the country where you desire copyright protection.